The facts remain cloaked in mystery, but the story goes that Shivkar Talpade had created a flying machine powered by mercury and solar energy, and based on ideas outlined in Vedic texts. It is not the first time the Wright brothers have been accused of dishonesty. In 1906, an editorial in Paris Herald famously wondered if the brothers were "flyers or liars". To this day, some reject the American duo's 1903 flight for relying on a catapult and believe that a Brazilian aviator, Alberto Santos-Dumont, was the first to prove that a heavier-than-air machine could take off on its own. Another aviator, Gustave Whitehead, later argued he had tested powered machines as early as 1901. But assertions that an Indian by the name Shivkar Bapuji Talpade had invented the modern aircraft eight years before the Wright brothers, as recently brought into discussion by a controversial paper presented at the Indian Science Congress in Mumbai.He ostensibly named it Marutsakha (friend of the air) and flew it at the Chowpatty beach in Mumbai in 1895. While hinting that Shivkar BapujiTalpade's work should be recognised, Anand Bodas, who presented a thinly-substantiated paper at the Science Congress, also spoke of ancient Sanskrit descriptions of vimanas that were 60X60 feet in size and travelled across countries, continents and even planets. 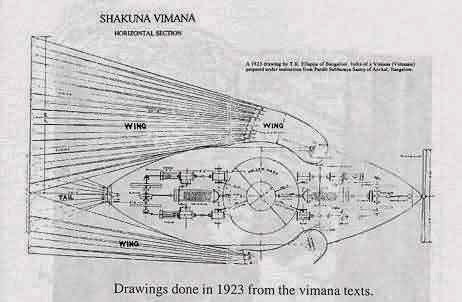 Various alloys for aircraft manufacturing are mentioned in Maharishi Bharadwaj's Vimana Samhita, he claimed, adding that "the young generation should study the alloys and make them here". 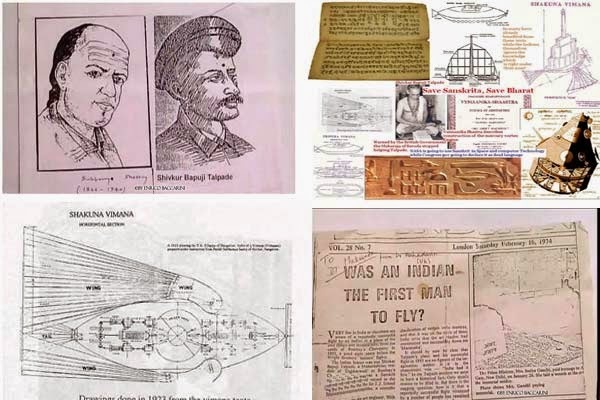 Over the years, the truth about Shivkar Talpade is indistinguishable from layers of jingoistic embellishment that unofficially call him the "first man to fly an aircraft".Born in 1864, Shivkar Talpade was a technical instructor in the art and craft department of Sir JJ School of Art, Mumbai. He was also a member of the Arya Samaj and had a keen interest in studying Sanskrit, according to Pratap Velkar who wrote Pathare Prabhuncha Itihaas, a Marathi book about the community to which Talpade belonged. Talpade is believed to have come across the writings of Krishnaji Vaze on aviation, which were influenced by Vedic texts but had never been practically tested before. In his craft workshop at the art school, Talpade reportedly began thinking about the motion of wheels while making model cars and of wings while drawings birds. These led him to attempt creating machines that could take off, writes Velkar. An architect-turned-historian, Velkar pieced together information about Shivkar Talpade through interviews with his niece, Roshan, close relative Chandrakant and with some essays by Talpade's student, P Satawlekar. "My father would sometimes tell me about this flight. I was doubly curious because we lived only two buildings away from Shivkar Talpade's old residence on what is now called Dr Nagindas Shah Marg in Girgaum," says the author. Shivkar Talpade had no descendent after a son who remained childless. Velkar learnt that the skeleton of the damaged aircraft had gathered dust for many years in a farmhouse at Madh and the children of the family would sit in it, pretending to fly. When the liquid mercury in Marutsakha reacted with sunlight, it released hydrogen, which being lighter, than air, helped to propel the contraption, says Velkar. Notes about Shivkar Talpade's achievements widely shared online state the plane flew to a height of 1,500 feet and stayed up for some minutes. Shivkar Talpade's aircraft was later sold to Rallis Brothers, according to some versions of the story. Rallis India (a Tata company) did not respond to a request for information. Years after his death in 1917, Shivkar Talpade's drawings and research material were accessed by GH Bedekar, a scientific officer in the Ministry of Defence in New Delhi. Some parts were sent to Hindustan Aeronautics in Bangalore, but aviation historian Anuradha Reddy who attempted to trace these recently was not successful. Some say his craft was conical, while others say it resembled a space ship. There is even a claim that he used urine, not mercury as fuel. Shivkar Talpade is then said to have appealed for funds for a second aircraft with wings but did not have luck. At the time, the British rulers were seemingly cautious about developments that would aid anti-government activities. Attempts to finance his work were suppressed.